Atlanta laser eye surgeon, Dr. Ashraf, is interviewed about the causes and treatment options for people with Astigmatism. 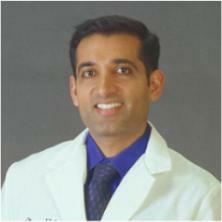 Dr. Ashraf has performed over 40,000 LASIK surgeries in Atlanta and his clinic in Dubai. He completed advanced corneal and refractive surgery training at the world-renowned Wilmer Eye Institute at Johns Hopkins, which has been ranked as one of the top medical schools in the nation. If you would like to have a consultation with Dr. Ashraf about any eye problems you may be experiencing or are interested in learning more about the Atlanta Vision Institute, call 770-622-2488 or visit atlanta2020.com to book your appointment online!